The Youngsville Recreation Center officially opened its doors April 9, 2016. 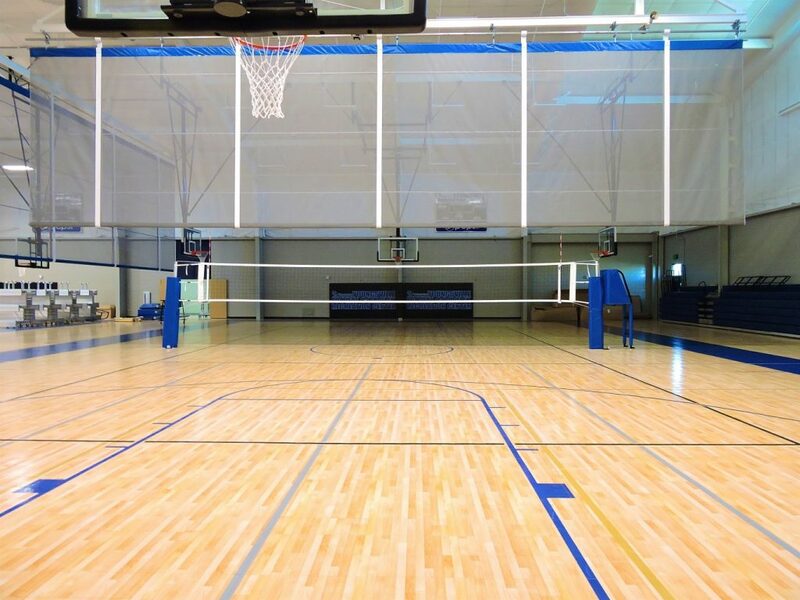 This state of the art facility hosts basketball, volleyball and pickleball courts, as well as administrative offices. The facility also hosts youth leagues and attracts new tournaments to the city. With the addition of the Youngsville Recreational Sports Programs, this facility is able to host our own volleyball and basketball leagues. Other special events and classes are held at the Youngsville Recreation Center, including Council on Aging, the Annual Youngsville Chamber Banquet, and the Breakfast of Champions, which is held during the Mustang World Series. Just over 60,000 people are coming in and out of this first class facility every year, including parents, coaches, players and friends, including players as young as 5 years old and up to 65+ years of age. Sponsorship at the Youngsville Recreation Center is an exceptional promotional opportunity for local businesses. By becoming a corporate sponsor, you provide meaningful support for youth in our area by offsetting the costs associated with the maintenance and upkeep of this important public facility, while demonstrating a commitment to the betterment of Acadiana. Sponsors have a guaranteed audience of thousands of athletic-minded youths, their coaches, families and friends, resulting in increased visibility, top-of-mind awareness and new customers. If you are looking for a way to get your business involved with the community, while enhancing your business image as a good corporate citizen, sponsoring the Youngsville Recreation Center is perfect for you. This is your opportunity to get your name in front of thousands of potential customers who will visit our facility and attend our events all year round. Please review our sponsorship opportunities and select one that best suits your needs and budget. Click here to see pricing and availability of sponsorships at the Youngsville Recreation Center. Demonstrate your support for our youth today! Contact ADWORX for more information: angie@adworx.com.